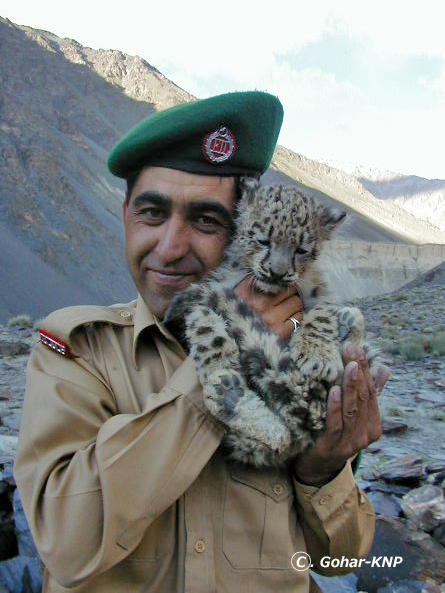 In the Khunjerab National Park, a topic of “Snow Leopard” is sometimes on conversation. 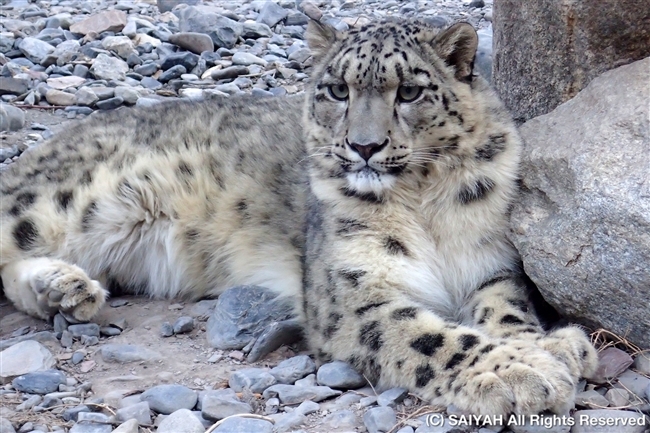 The “Snow Leopard” is the leopard lives in the Himalaya mountain range, the Karakoram mountain range, the Hindu Kush mountain range and the Pamirs and has the long far covers all body to adjust the cold environment. (In the winter, the length of far becomes longer). 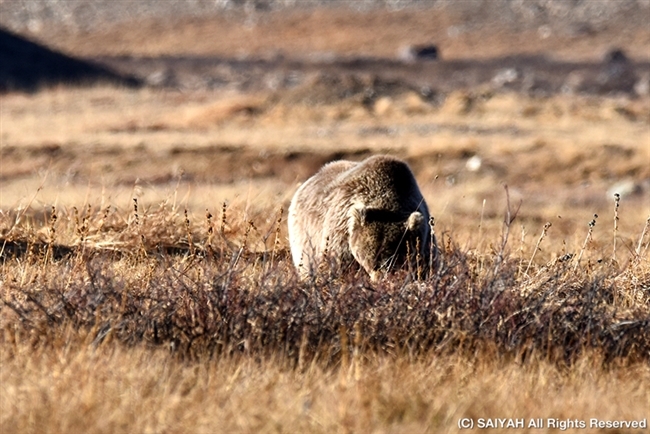 In the Khunjerab National Park, it predates a wild animal such as Ibex. In the winter, it is observed to have moved down to near the Karakoram Highway. 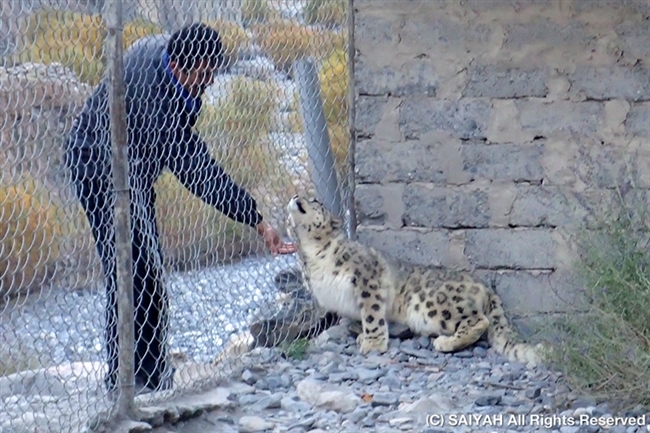 About nine years ago, there was a cub of “Snow Leopard” named “Leo” in the office of the park, and it was my pleasure to see the cub on the way to cross the border of China, but it was moved to a zoo in the USA. 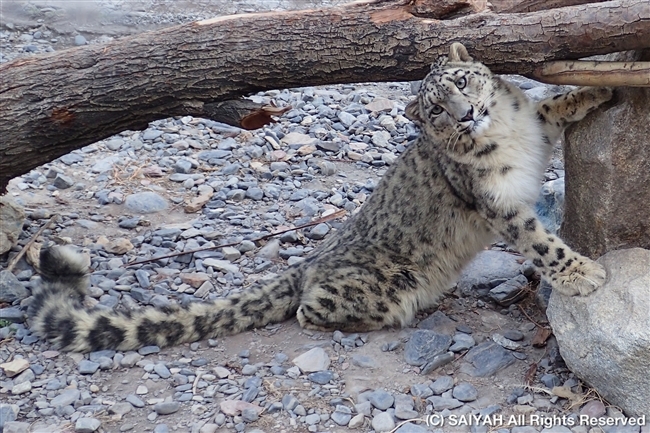 Later, about three years ago, a cub of “Snow Leopard” nearly drown was rescued in the frozen river. It was assumed six months old and a female and named “Lori.” It is three year since she has been living in a cage by the office of the park. Mr. Falman Razah who rescued Lori approaches her as same as she was a cub. Lori is purring and comes close to him. Lori is fawning on a staff of the national park. Lori eats 3 kg meat every day. Lori keeps this condition or she regains wildness ? A plan in the future is “Leo” will return from the USA and live with Lori in a “rehabilitation facility” the USA supports to build in Nartal valley to breed, to make a training to regain wildness. It would be launched in this winter. However, there is an opinion against the plan because the environment would be changed. 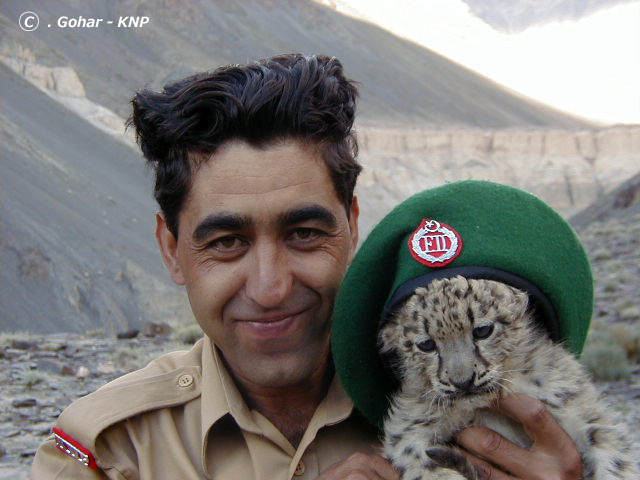 Lastly but not least, this is a picture when Leo was a cub with Sultan Gohar of the Khunjerab National Park. It was month of October .... I spent 2 nights on the plateau in freezing weather. It was -10 degree in the morning !! 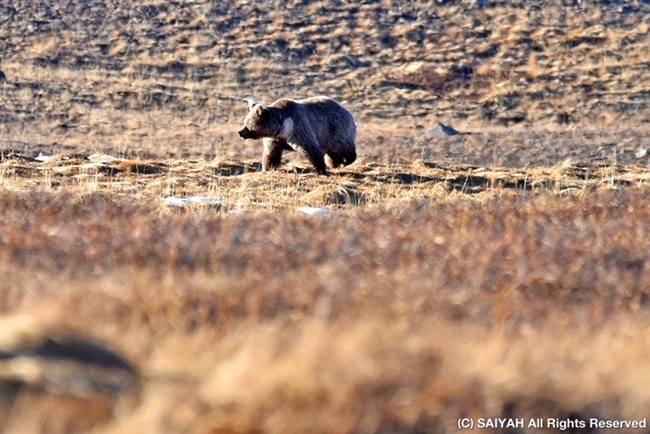 Himalayan Brown Bear is the one of sub-species of Brown Bear. Northern Pakistan and Northern India. Number has been decreased because of hunting, loosing their living territory. It is estimated 150-200 remain in Pakistan and 500-700 in India, only. 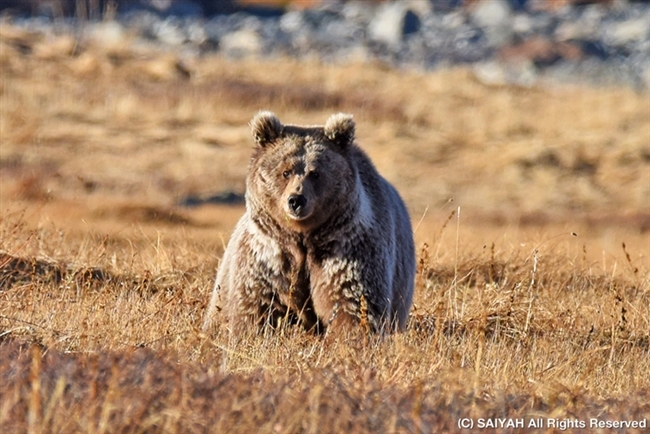 In the month of October, they try to eat maximum due to hibernation. 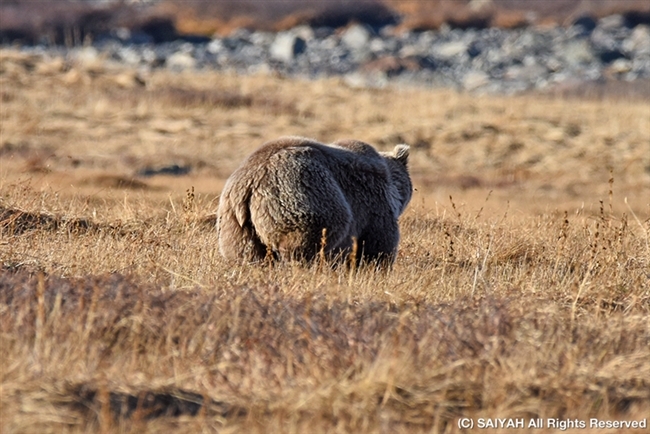 Now it increase up to 72 Bears in the last census of 2013. Health body before Hibernation ... !! from November to next May. I pray for this beautiful, wonderful nature of Pakistan, be forever.